If Congress okays Trump’s USAID cuts, Kenyans worry that the only wildlife forensics lab in East Africa could close and ranger jobs might vanish, threatening the environment. President Donald Trump’s “skinny budget,” made public in March, has not yet been approved, and still awaits a response by a Congress highly skeptical of the administration’s proposed draconian U.S. foreign aid reductions. But environmentalists in Kenya are already feeling the heat, with some concerned that successful wildlife protection efforts could be at risk due to potential aid cuts. While Trump has proposed slashing the US Agency for International Development (USAID) by over one third, Kenya looks like it would face only a 10 percent aid cut, if Congress allows it. Most of that reduction — from $711 million to $639 million — would come from ending the USAID Food for Peace Program, with those dollars diverted to other aid. In August, the U.S. announced more than $169 million in additional humanitarian assistance to support Ethiopians and Kenyans suffering from the effects of prolonged severe drought. Despite that, fears remain strong in Kenya that environmental assistance could get axed. According to Joseph Boinet, the current Kenyan Inspector General of Police, USAID is making a major contribution to the fight against all kinds of trafficking. Kenya has extradited more than 128 drug traffickers and poachers to the United States since 2014, he explained, noting that the illicit profits that such criminals earn from the illegal wildlife trade are believed to be funding regional and international terrorism activities. U.S. aid flowing to Kenya helps finance conservation law enforcement and research; boosts agricultural productivity; and increases resilience to climate shocks. 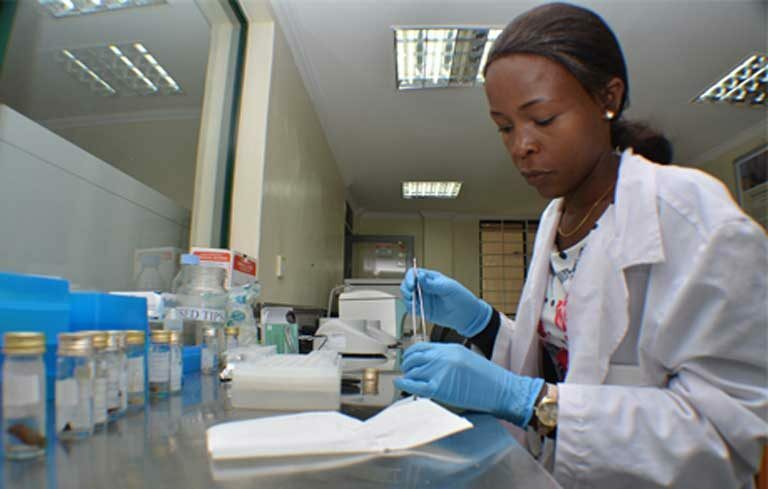 Most USAID goes to the health sector, according to information provided by the Kenyan Treasury Department. Since 2005, the U.S. has provided funds for the President’s Emergency Plan for Africa (PEPFA), supporting free antiretroviral treatment (ART) for people living with HIV. The program had treated over 7.7 million HIV-infected people across Africa, in resource-limited settings and supported HIV testing and counseling for 56.7 million people as of 2014. Such health programs also indirectly aid conservation efforts, because healthy people are able to work, and so are less likely to rely on poaching for income. The HIV program also builds stronger communities with better law enforcement, which helps curb trafficking. While the exact scope and impact of Trump’s proposed budget cuts remains unsure, and won’t be known until October when Congress approves a 2018 budget, many Kenyans continue expressing concern. They say that USAID, maintained at current levels, is urgently needed for environmental conservation and health programs over the next two years. Gathitu reported that Kenya’s lab, though relatively new, has already helped put poachers behind bars: “Since the lab was commissioned in May 2015, it has tested more than 310 bushmeat samples submitted by investigating officers. It has also tested other samples for disease diagnostics and population genetics.” Gathitu noted that since becoming operational two years ago, more than 250 cases involving forensic evidence have been referred to the courts. Out of those, 30 cases have led to convictions, while the rest are ongoing. “The United States government through Abbot laboratories, not only provided funding for [our lab’s] construction, but also for the training of personnel both locally and internationally. USAID has funded a project on elephant genetics that is ongoing,” Gathitu added. Thanks to the U.S., the facility had sufficient funds to procure a sophisticated DNA sequencer and analyzer. “Budget cuts by the Trump administration could result in the DNA lab being closed,” Gathitu said bluntly. “Conducting forensic work is very expensive. To pay the workers their continued salary… [and] to purchase equipment regularly, such as chemicals, requires big money.” To date, the Trump administration has not signaled any cuts to this program. Other USAID backed conservation activities in Kenya in recent years include an increase of grass and vegetation cover on 1.5 million hectares; a reduction of illegally traded ivory and rhino horn; and the moving of 20 black rhinos by the Kenya Wildlife Service, Northern Rangelands Trust and Lewa Wildlife Conservancy into the new USAID-supported Sera Rhino Sanctuary in Samburu County, Kenya. He explained that before U.S. funded rangers were hired a few years ago, poaching was rampant: “They prevailed everywhere. There was no one to watch their actions, and it is our fear that with budget cuts, not only the same will return, but worse [criminal] scenarios of poaching.” The U.S has provided funds for community rangers to acquire uniforms, as well as for sophisticated firearms so that the rangers can keep pace with heavily armed poachers. “The conservation of wildlife is vital,” agreed Kamau Mathenge, a resident of Laikipia County in Central Kenya. “The current U.S. president has been raised in a well-to-do family. So he does not understand the needs of poor countries or people. We hope he does not stay true to his word” regarding foreign aid cuts. As poor as Kenya is, it remains one of five countries in Africa with high concentrations of elephant populations. And even though it could have made a good deal of money by selling its confiscated ivory stockpiles, Kenyan conservationists point out, the nation chose instead to burn most of that ivory. Under the U.N Convention for International Trade of Endangered Species (CITES), Kenya has pledged to burn the rest of those stockpiles too. While much of the global media is reporting that Kenya will be spared the worst of Trump’s ais reductions, an employee at the American embassy in Nairobi confirmed to Mongabay that the administration is serious about its proposed cuts, and already doing harm. The employee, who asked to remain anonymous, said that visas have already been limited to Kenyan scientists, and that this should be seen as worrying. Dr. Germano Mwabu, a World Bank Economist and an economics professor at the University of Nairobi said that the budget decreases — should they go forward — represent a serious U.S. policy shift. “If you cancel the funds and make the threats true, not only will it affect the economies involved, but also the U.S. It means that countries may also cut trade ties with the United States. So such an action is grave as countries rely on each other,” the professor said. Mwabu will be presenting a paper on the matter at an upcoming African Development Bank conference in Tunis. “Such [aid reductions] may [even] lead to a major global economic recession,” he warned, suggesting that there is an urgent need for increased international funding for environmental conservation, not less. “Nature will make us suffer if we mistreat it,” Mwabu said. “What will our children eat if we play around with nature?